healthAlliancehas been selected as a finalist for a national IT award for the second time this year. 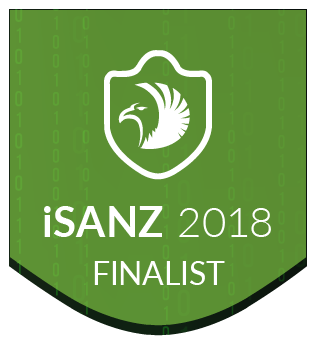 Hot on the heels of success at the ITx awards in July where it won the IT Project Excellence award, the Northern Region DHB shared services company has been shortlisted for the Best Security Awareness Campaign at the New Zealand Information Security Awards (iSANZ). The iSANZ awards showcase excellence in information security. They were established four years ago to recognise the achievements of New Zealand people and organisations in the burgeoning information security (InfoSec) field. healthAlliance Chief Information Security Officer Richard Harrison says the company is extremely proud of the recognition. “We’re delighted to be recognised once again for our work on behalf of the Northern Region DHBs,” Harrison says. healthAlliance is one of four finalists in the Best Security Awareness Campaign category, along with ANZ, Contact Energy and PwC. The winners will be announced on Tuesday 13 November in Wellington. healthAlliance provides professional shared services, including information technology management, support and transformation,to the four Northern Region district health boards: Northland DHB, WaitemataDHB, Auckland DHB and Counties Manukau Health.